The period-instrument orchestra Il Pomo d'Oro, founded in 2012, has rapidly built a substantial international reputation. It now boasts two chief conductors: Riccardo Minasi, the Italian violinist and musicologist, and Maxim Emelyanychev, the young Russian-born harpsichordist and fortepianist. 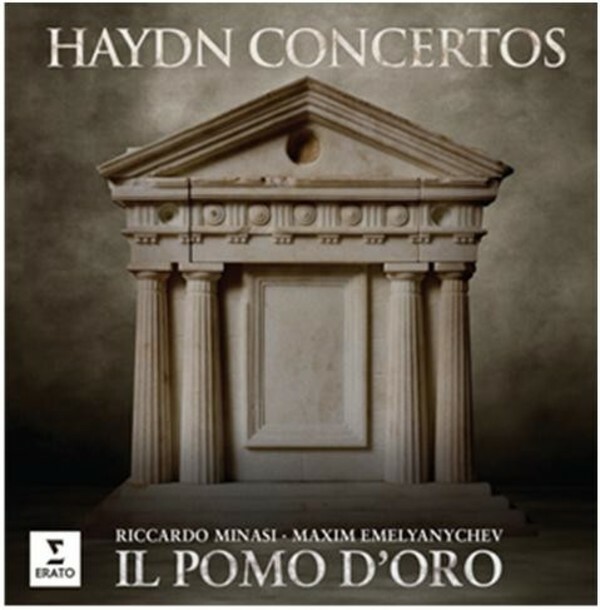 Haydn’s Cello Concerto in C major featured on Giovincello alongside works by other composers, but here the album is entirely devoted to works by the groundbreaking, prolific, long-lived and influential Austrian composer. He wrote numerous concertos for solo instruments and combinations of instruments; perhaps most famous of all is his trumpet concerto in E flat, but this collection focuses on concertos he wrote for violin (played here by Minasi), keyboard (Emelyanychev, here playing harpischord), and horn, (the Austrian horn-player Johannes Hinterholzer). The concertos are complemented by his Symphony No 83 (known as “The Hen”, because of the ‘clucking’ figures on the strings in its second movement) and his Keyboard Fantasia Hob.XVII:4.